Create a New Bill Request. Send us your Bill of Quantities (BoQ) to be formatted and traded. We upload it electronically for you to send out RFQ’s to Vendors and Suppliers. – here’s a quick video tutorial from “The How To Series”. To view more content, please visit the Leads 2 Business Blog. 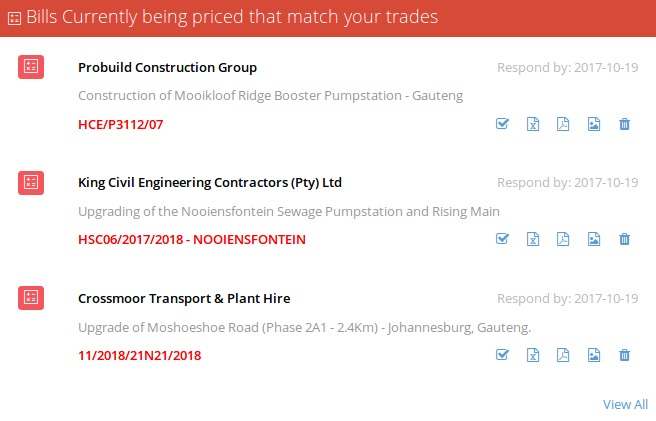 Understanding the African Tender Process is not much different from the South African Tender process (see link to previous blogs referencing SA Tender Process). A need for a service is identified. Approval is obtained from the necessary entities. Documentation (including Bid Documents, BoQ, Drawings, Specifications, etc.) is prepared and approved. Receipt and opening of tenders. Single Source (also referred to as Direct Contracting), Requests for Quotations (RfQ’s), Two-Stage Tendering, Request for Proposals (RfP’s), Restricted Tendering, Open Tendering, Prequalified Tenders. (For an explanation of the methods, please see http://procurementclassroom.com/procurement-methods/). Of course, each country will have its own Public Procurement Regulations, rules and laws that govern the procurement process. Furthermore, each institution may have its own policy that is applied over and above the country’s regulations. 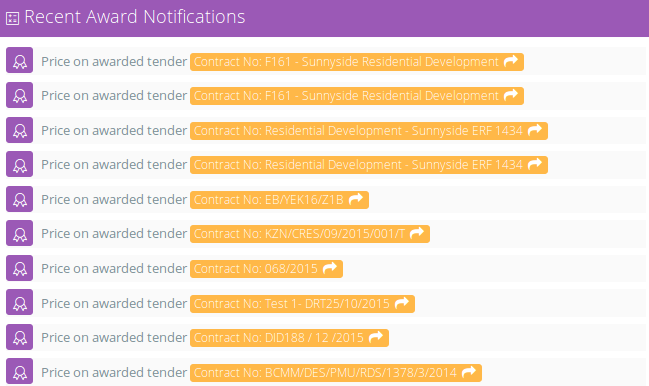 Each advertisement will identify the forms and documents that will be required for that specific bid. There might be language barriers: depending on which country is advertising the bid, it might be advertised in another language (not English). Some bids will include a copy of the bid documentation which has been translated to English, but in the cases where they do not provide translated documents, it might be necessary for a translator. When needing to contact the specific institution, ensure that you have the right dialing code for the country you are trying to contact. It might be easier to communicate via email and this will ensure that there is also a paper trail of any queries raised and answered, in which case, the correct email address is a necessity.